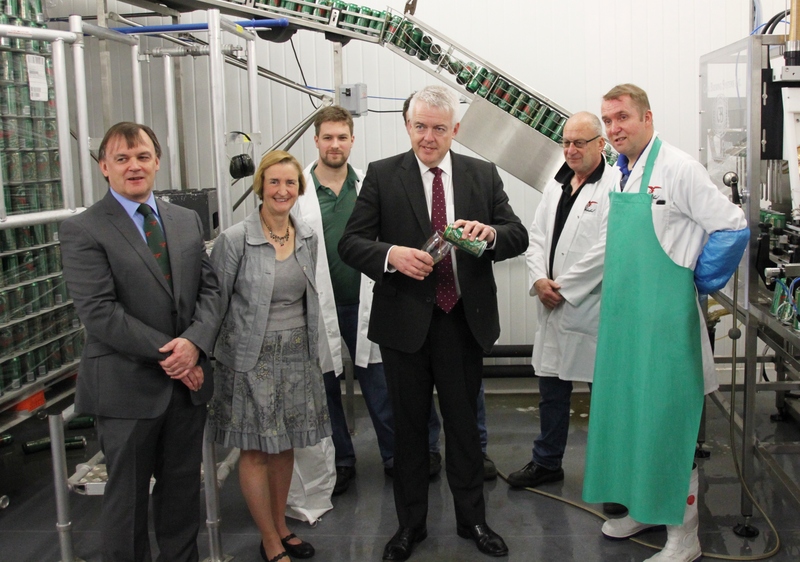 First Minister Carwyn Jones AM came to Llanelli on Thursday to open the new canning line at the town’s famous Felinfoel Brewery. This year the brewery is celebrating the 80th anniversary since when it produced the first canned beer in Europe, back in 1935 – combining the brewing tradition with Llanelli’s fame as the word capital of tin. Nia Griffith MP joined the First Minister for the occasion and together they saw that very first 1935 can, as well as climbing up to see the very traditional brewery and then, in contrast, watching the new state-of-the-art computerised canning machine at work.